Contextual literacy English for academic purposes (EAP) provides a valuable perspective on the increasing focus on the social and contextual aspects of academic and critical English literacy education. The focus on these aspects is in response to the perceived need to develop students’ literacies to keep up with changing global trends in education and language use. This is especially evident in countries where English has a foreign-language status but where English is being used by bi- and multilingual speakers. In this chapter, a study examining an English-language public speaking course in a Japanese university using a content and language integrated learning (CLIL) pedagogy is used to illustrate the potential benefit of a novel, socio-historically contextualised approach, known as Reacting to the Past, to teaching English language skills. The use of CLIL pedagogies allows for contextual literacy EAP to develop through resourcing other languages, i.e., translanguaging, in the study of content that requires practicing the use of English for persuasive purposes. 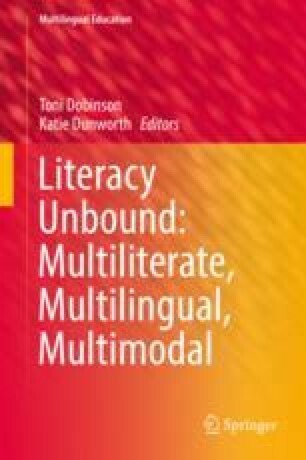 The chapter provides a further discussion to clarify that while academic literacy and critical literacy cover these concepts, it is significant to explore contextual literacy development as a way of understanding the learning and critical thinking that occurs in English language studies in an evolving, global context. I am grateful to Dr. Hanako Okada, for introducing me to the Ministry of Economy, Trade and Industry announcement as reported by Reed (2010) and for her unwavering support in working with me on adapting the Reacting to the Past pedagogy for use in Japan. Brown, H. (2015). Factors influencing the choice of CLIL classes at university in Japan. ELTWorldOnline.com, 1–22.